With Black Friday sales now mostly in full swing across Canada, and the Christmas shopping season quickly ramping up, many eager Canadian consumers are shopping for ‘hawt’ deals both online and in-store. One factor many consumers rarely take into consideration is how various retailers’ return policies differ from one another, particularly when it comes to online-only purchases. Having a full understanding of retailer return and exchange policies is useful information to have, especially when purchasing gifts for friends or family. Below is a quick look at the return policies for major Canadian retailers. According to Amazon, “most new, unopened items” sold and fulfilled by Amazon can be returned within 30 days of delivery for a full refund. During the holiday season specifically, Amazon says that items sold between November 1st and December 31st can be returned by January 31st. The key phrase in the above sentence is “fulfilled by Amazon.” Since the online retail giant allows other retailers to list products on its platform, these third-party digital storefronts often have different rules regarding returns. Returns generally take two to three weeks to refund, says Amazon, though most refunds are processed much more quickly. Items typically need to be sent back to Amazon before a return can be processed. For a more detailed look at Amazon’s return policy, follow this link. As usual, Best Buy Canada’s return policy for the holiday shopping season is a little different from how it typically operates on standard business days. Any item purchased online or in-store after November 2nd can be refunded or exchanged until January 6th, 2019, or 14 to 30 days from the purchase date — whichever is longer. However, different return and exchange periods are in place depending on the type of product in question. It’s also worth noting that any item purchased on Bestbuy.ca can be returned in-store. 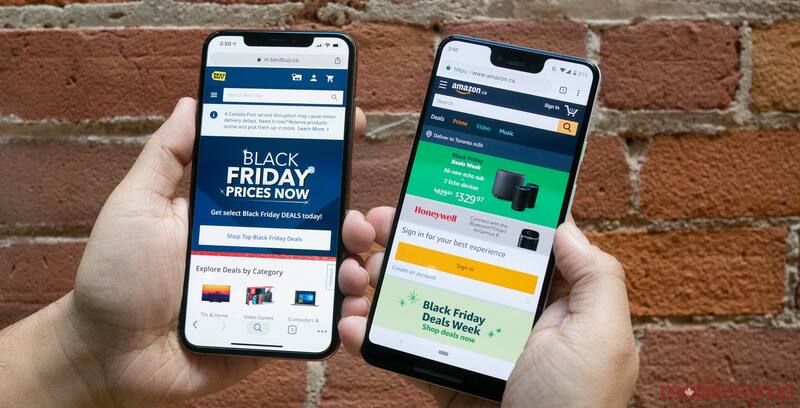 That said, Best Buy notes that its extended holiday return policy doesn’t apply to cellular or wireless devices, or items purchased from the Best Buy Marketplace — the retailer’s Amazon-like third-party seller platform. Concerning in-store returns or exchanges, stores in Sault St. Marie, Ontario and all stores in Quebec and Atlantic provinces won’t process returns and exchanges on December 27th, 2018. For a detailed look at Best Buy Canada’s return policy, follow this link. Staples says that any item can be returned within 30-days of its purchase date, though computers, laptops, tablets, e-readers, smartphones and drones can only be returned within 14 days as long as they’re still in their original packaging. The retailer also specifies that if you don’t have a receipt, the product can be exchanged or store credit can be issued. For a complete look at Staples return policy, follow this link. At The Source, most items can be returned within 30 days of purchase whether they were purchased online or in-store. The retailer also has a full list of return periods on its website. It’s also worth noting that in-store purchases can be returned at any location, with the exception being smartphones, tablets and “mobile internet devices.” Online orders can be returned to any physical Staples location, as well as by mail, with the only exception being large items like televisions and large appliances. For a more detailed look at The Source’s return policy, follow this link. Walmart’s return policy is lengthy when compared to the retailer’s competitors, with the return period coming in at 90 days for most items. The timeframe for return of online purchases begins on the date of the item’s arrival, while the return policy for in-store items starts at the time of purchase. That said, there are exceptions to this 90-day rule. For example, devices like computers, tablets, laptops, monitors, printers, digital camera, GPS units, wearables and more can only be returned within 14 days. Further, post-paid phones can be returned within 30-days, while televisions, DVD players, home and portable audio systems headphones and more can only be returned within 30 days. Finally, items like video games must be returned unopen. Similar to other retailers like Best Buy, online orders can be returned to any physical Walmart location. For a complete look at Walmart’s return policy, follow this link. Did we miss a specific retailer you often purchase products from? Let us know in the comment section.